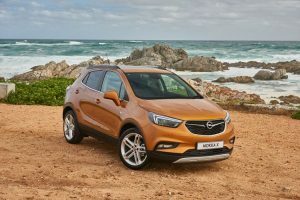 Opel has sold over 600 000 units globally since its inception in 2014, and now heralds the introduction of the first of the X cars, with the launch of the Opel Mokka X compact SUV. The car is aimed solidly at the young at heart that want precision German build quality, with edginess and a fun factor as well. The X moniker will be the global identifier of the Opel SUV & crossover vehicles. 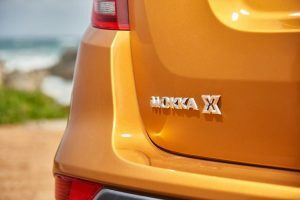 The first thing you notice about the Mokka X is that it is a far more bold and assertive looking car than its predecessor. Without sounding sexist, a lot of the current crop of compact SUV’s have a female flair about them. For me the Mokka ticks the box of being very male oriented. The Mokka is also more spacious this time around, in the front as well as the rear. High driving view is a plus, and it has a ‘’devil may care’’ feeling that you could escape to the country roads at any time. A key highlight and most obvious change is the move to new headlight clusters that combine daytime running lamps and LED technology. 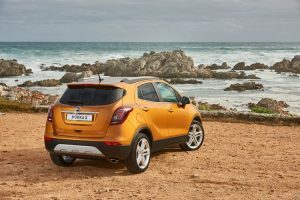 Opel is a leader in this field, and the MOKKA X takes advantage of this to provide owners with a dusk to dawn safety advantage and 24-hour illumination. 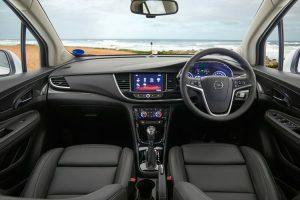 The dash area has been integrated from the award winning Astra, and the upholstery comes in powerful jet black hues, depending on whether it is Enjoy or Cosmo models. Agrand feature is the Intellilink infotainment system, which in the Cosmo comes with a driver display – this connectivity package is compatible with a wide range of media platforms via a USB input and is offered as an option on the Enjoy. Optional on the Cosmo is Navi 900 IntelliLink, which includes a full colour display. The seamless integration of the user’s mobile device makes the MOKKA X the best-connected compact SUV in South Africa. Engines which are the highly capable 1.4-litre 4 pot turbo ECOTEC remain unchanged in either manual or auto. It puts out a credible 103 kw between 4900 & 6000 rpm and 200nm between 1850 & 4900 rpm. Zero to 100 km/h is reached in 9.8 seconds with a top speed of 196 km/h for the 6-speed manual models. For the two models equipped with the 6-speed automatic transmission, the 0-100 km/h sprint is achieved in 10.7 seconds and they carry a top speed of 191 km/h. Claimed average fuel economy on the new MOKKA X 1.4T Enjoy manual is 5.9-litres per 100 km, the MOKKA X 1.4T Enjoy automatic consuming 6.2-litres per 100 km on the combined cycle. The MOKKA X 1.4T Cosmo manual sips 6.0-litres per 100 km, with the MOKKA X 1.4T Cosmo automatic returning a combined cycle average figure of 6.5-litres per 100 km. This seemed to be pretty accurate on the launch drive, and the engine is zippy & responsive on high country as well. We drove through a hairy mountain pass, and it handled with aplomb. Carbon emissions are rated at 139 g/km for the MOKKA X 1.4T Enjoy manual and 154 g/km for the MOKKA X 1.4T Enjoy automatic. The MOKKA X 1.4T Cosmo manual is rated at 145 g/km with the Cosmo automatic at 160 g/km. 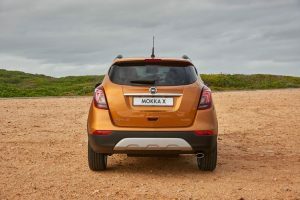 The Mokka X will definitely find fast buyers amongst the young and vibey crowd. My DJ at YFM radio loved the previoud generation model and it would be interesting to see his reaction to the X model. Opel have announced that they will be rolling out 30 new models from the beginning of 2016 and 2020, so it will be an exciting space to watch. The Mokka X is well priced, has ample back up at dealer level. 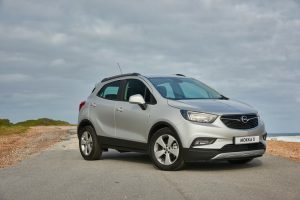 All new Opel MOKKA X derivatives are backed by Opel Complete Care with a comprehensive 5-year/ 120 000 km warranty and come with a 5-year/ 90 000 km service plan linked to service intervals of 15 000 km.